Ponzi Schemes came into limelight with the introduction of the MMM Ponzi Scheme and its idea. From the get go of 2017, Ponzi Schemes were flying around all over the place. Moneyrated have decided to divide these schemes into four categories, The Good, The Bad, The Weird and The Ugly. The Good: This category of Ponzi Scheme refers to the Ponzi Scheme that have been paying its participants from day one. The Ponzi Scheme that are under this category are few and surprisingly the MMM Ponzi Scheme is at the top of this list. Over time, the MMM Ponzi Scheme have proven to its participants that they are here to stay. See See The Four Important MMM Upgrades During Froze Mode That Makes It The Best Ponzi Scheme Of All Time. The Bad: This category comprises of all the Ponzi Scheme that have no reasonable idea. It’s what we term the bad business, because participating in these schemes is a sure way to loose money. Example, the Icharity and Ultimate Cycler, these schemes frequently had problems because they lack good idea and many of its participants lost money. The Weird: Next in our category is the weird. These schemes have idea but their idea is the most ridiculous one. The Ponzi Schemes under this category is the WhatsApp group donation. Like seriously it’s weird for anyone to take WhatsApp group donation seriously because anyone can come up with a WhatsApp group. The truth is, 100% of these WhatsApp group donations were fraud and they made pots of persons lost money. 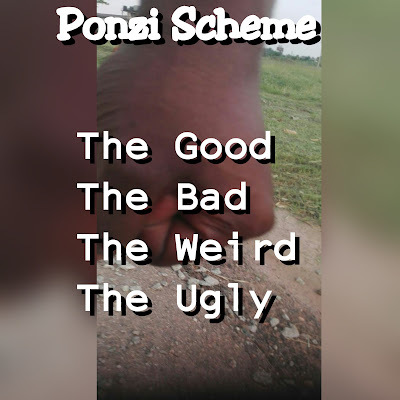 The Ugly: The Ugly category is about those Ponzi Schemes that came up, paid its participants for about a month then stop paying when people started tripping into the scheme. These schemes made away with lots of people money. Example of such schemes is the Loopersclub. So the above are the different categories of Ponzi Scheme. MMM still remains the best of them all, though 2016 Mavros are under restrictions but they are paying at random.